Former Boggs frontman Jason Friedman and his partner in crime Eleanor Everdell evoke the finer moments of '80s synth pop on their debut EP. Whether it is recreating the sounds of Harry Smith’s Anthology of American Folk Music like he did with his old group the Boggs or crafting vintage '80s synth-pop melancholy alongside Eleanor Everdell as the Hundred in the Hands, Jason Friedman has spent the last decade proving his worth as one of the lost treasures of the New York City music scene. 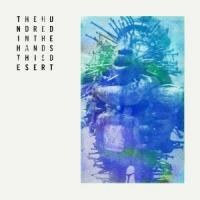 This beautiful six-song EP is just a taste of things to come for THITH and their cool hark back to the days of the Durutti Column and Scritti Politti until their eponymous full-length debuts this fall on Warp. If it encompasses songs that are anywhere near as good as “Tom Tom” and “Dressed in Dresden”, we are in for quite a treat.